I realize that I’m way behind the 8-ball with review. PROMISE OF BLOOD premiered almost a year ago and I’ve already pre-ordered the audio version of the second in the trilogy. You’ll have to forgive me. I’ve been busy. Raising children, staying healthy, writing my own books and all that. Here’s the deal though, there’s no excuse. Brian McClellan accomplished a wonderful juxtaposition with this tome of a novel, and his narrator Christian Rodska has the moxie to pull the reading off. The story is set in mostly in the capital city of Adapest in a beleaguered kingdom with a corrupt and inattentive nobility. If I were painting set boards for this I would draw my inspiration from pictures of early Victorian wood cuts of European settings. McClellan sets a dark mood and maintains brooding and hopeless sense of place from beginning to end. Criminals, traitors and scoundrels flourish in this environment and they’re found in all walks of life. Power and wealth are the possession of the nobility until Field Martial Tamas begins a bloody revolution that will change Adros. One of my favorite parts of this novel is the membership of the conspiracy that unseats the monarchy. You can find all the usual suspects, but McClellan writes deep plots. The leader of a labor union, an underworld business man who remains concealed in the shadows, even the head of a mercenary force said to rival the standing army. As has been said in plenty of other reviews, McClellan’s systems of magic are very unique, and praise worthy. But the thing that makes these different schools of arcana so compelling is that these are integrated into a well developed social system. Brian is a smart author with impressive world building acumen. 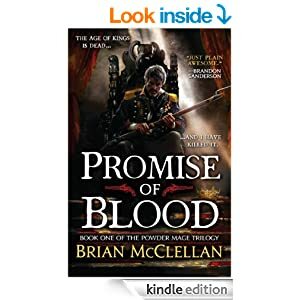 In the powder mage trilogy everyone has strengths and weaknesses, McClellan does a good job of picking at his main character’s weaknesses while slyly introducing gods into the mix. Honestly, I wanted the Field Martial to spend a few more chapters incapacitated by the gold star, but McClellan more than made up for this deficit when Taniel “Two Shot” puts two red-lines in the eye and chest of a god. No one has a ready made solution to the chaos that arrises through the story, there are no Bat belts and no one is indestructible. That’s important to me, I don’t much enjoy stories where there is no struggle and PROMISE OF BLOOD is chock full of conflict and heartache. While there is fantastic power, in the form of Privileged and Powder Mages alike, no one, not even the gods, can rest. If you enjoy good fantasy you’d be at a sorry loss if you failed to pick up this book. This was an audio book read for me, but I found that the choice of voice actors only enhanced my appreciation for the story. I listened and re-listened time and again because of a skilled turn of phrase or a well written reveal. When the sequel comes out in audio format it will be top on my list of listens. Add to that, the ebook seems to be on special right now, only $1.99 and its huge! 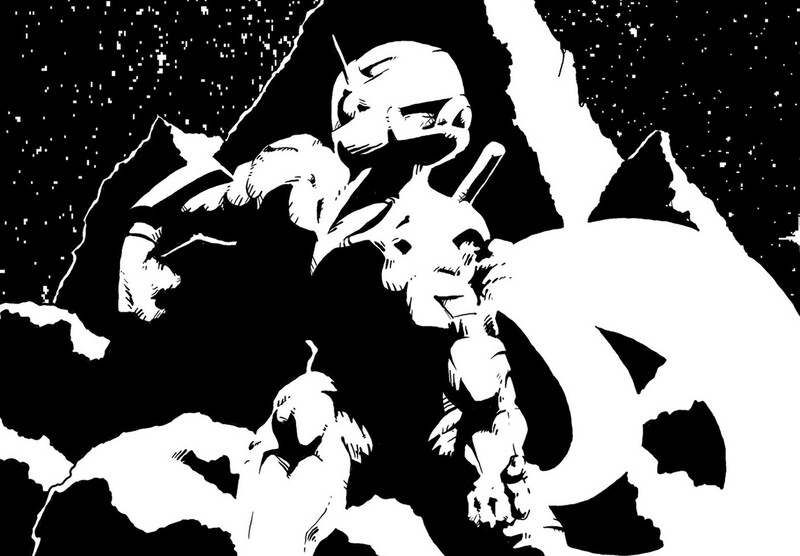 I’ve been outlining a fantasy of sorts. Nothing I have the time to work on right now, but I’m happy with the story idea and it has been something simmering for a long while. I came across this article looking for a way to navigate without a magnet or the invention of a sextant and clock. Very interesting. I sure would love to try it out sometime. British and French scientists have long argued that the find is a sunstone — a device that fractures the light, enabling seafarers to locate the Sun even when it is behind clouds or has dipped below the horizon. Sunstones, according to a theory first aired 45 years ago, helped the great Norse mariners to navigate their way to Iceland and even perhaps as far as North America during the Viking heyday of 900-1200 AD, way before the magnetic compass was introduced in Europe in the 13th century. I write to you today, a changed man. I’m going to keep this brief because I want to get right back into the convention schedule, but I now know that my inferiority complex (mostly to do with being an Indie) was completely unjustified. Yesterday I met an amazing collection of literary types, some of whom have been occupying pedestals of heroism in my mind for a long time. We laughed, we talked, and I realized that there is not a lot of difference between us, beyond whoever’s imprint lands on our book covers. And that does not seem to matter at all. I am author, hear me type. Wow! 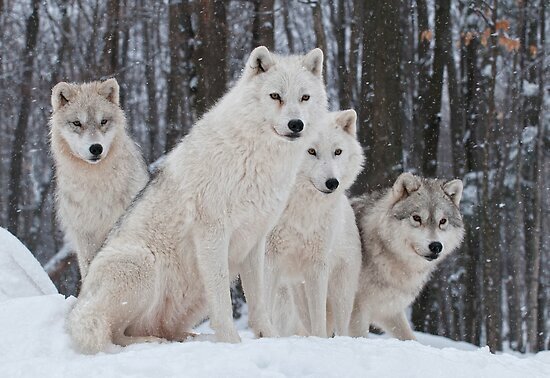 I feel welcomed into the pack. Better, have found my tribe.